I believe all or most of you who have tried Ben's in Gurney Paragon Mall will sure miss their food a lot. Especially the delicious Spicy Soft Shell Crab Pasta, Crispy Duck Carbonara, or what about the heavenly Macadamia Cheesecake Sundae? We were all saddened to hear that Ben's was no more. But also welcomes a good news that Plan B, which is under the same company, B.I.G Group has taken over the slot and introducing their all new a la carte menu this round! Ayam Brand has been in Malaysia for 124 years. I was like literarily WOW when I came to know that the brand is actually old but still doing so well in Malaysia! 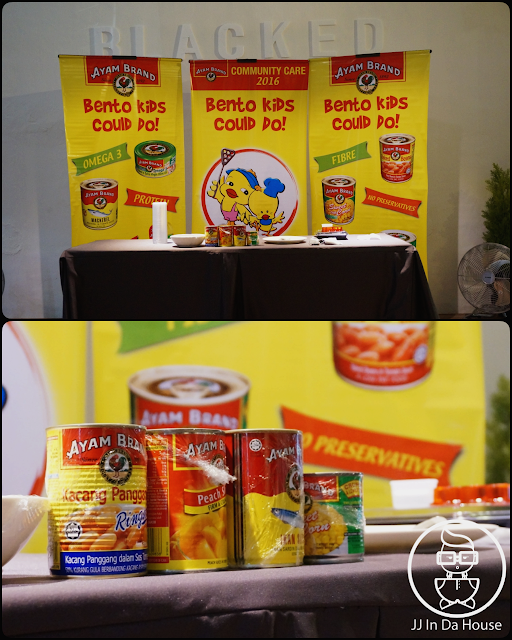 There are everything we know about Ayam Brand, ranging from tomato beans, canned tuna to all sorts of can food. Recently I got invited to their CSR event and find it rather interesting that Ayam Brand do contribute a lot to charity body especially all the next generation leaders. They are introducing an affordable Japanese-style bento to more Malaysians and also promote healthy lifestyle with their healthy canned food. Also they have invited participants from Cheshire Home Penang, Persatuan Kebajikan Anak Yatim Islam Pulau Pinang, The Salvation Army Children Home Penang and Shan Children’s Home and their representatives to attend the event and learn how to prepare the Japanese bento set together. 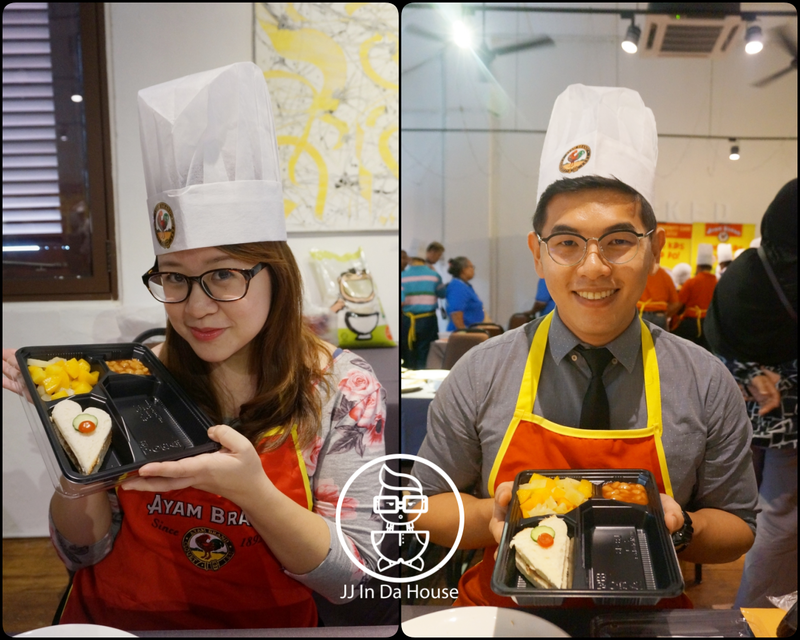 As you can see, Ayam Brand promotes a much easier ways to prepare bento that even kids could do. All you need is just grab some of their ready-to-consume canned food like baked beans, fruits, sardine, tuna, sweet corns and so on. The event started with representatives from Ayam Brand telling us that they have been very active on CSR and give back to the charity. They have been having this campaign for several years and this year they are reaching out to 1350 children, disabled, old folks and single mothers from 50 charity homes in Malaysia and Brunei. Providing them with two months supply of Ayam Brand products sufficient for daily consumption for all residents, while introducing a healthy meal alternative for children and adults. 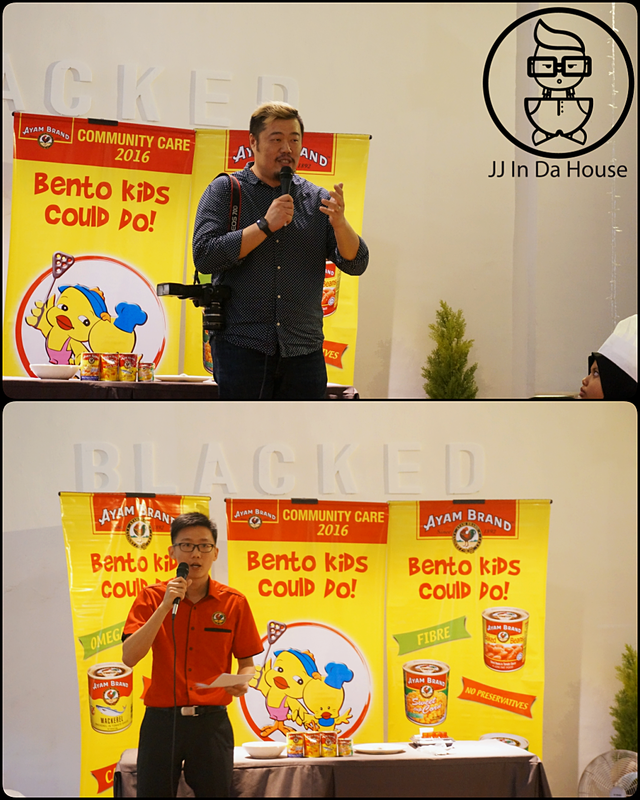 The person-in-charge from Ayam Brand and representatives from Cheshire Home Penang, Persatuan Kebajikan Anak Yatim Islam Pulau Pinang, The Salvation Army Children Home Penang and Shan Children’s Home. Being innovative is really crucial to survive in this high competitive market and Barista Haus just created another concept to serve all the curious Penangites. Do you always wonder how those baristas make those beautiful and artistic latte art for your coffee? I believe some or most of you are really interested whenever you see a barista serve you a cup of latte with some really nice latte art. And some of you are eager to learn, perhaps even if you just go and buy a coffee machine and seeing all the videos online, you just couldn't get it right. Barista Haus is a newly joined tenant at Ropewalk Piazza, a new commercial shoplot located at Jalan Pintai Tali, directly opposite Prangin Mall Penang. Parking could be a problem depending on weekdays or weekends, but there are public carparks surrounding this whole area. An interesting restaurant that offers interesting menu, Up and Above European Cuisine is a newly joined restaurant in the Pulau Tikus area. Mainly focus on affordable yet quality cuisine to be served to the customers, Up and Above European Cuisine is ready to give everyone an extraordinary yet afforable semi fine dining experience. Up and Above European Cuisine focus on creative cooking and modern way to present their dishes, giving customers a unique dining experience from the moment they stepped into the restaurant until the moment they leave the restaurant. Up and Above European Cuisine is located at Cantonment Road, next to the famous Sister Cook, or directly opposite Maybank / Public Bank. You will see it on your left if you are on your way to Gurney or Kelawei Road and going through Cantonment Road.